Rugby Australia has today offered its congratulations to current Qantas Wallabies’ Assistant Coach Stephen Larkham on being inducted into the World Rugby Hall of Fame on Friday. Larkham was one of five former players inducted into World Rugby’s Hall of Fame, considered to be one of the highest honours bestowed on Rugby identities globally. The 102-Test veteran was part of three Rugby World Cup campaigns including the victorious 1999 campaign and played in arguably the greatest Final in the tournament’s history in Australia’s heartbreaking defeat to England in 2003. A lanky young fullback when he burst onto the scene for the Brumbies and Wallabies, Canberra-raised Larkham became known for his playmaking wizardry from flyhalf after making the switch into the number 10 jersey early in his Test career. He became one of Australia’s main attacking lynchpins during a golden age of Australian Rugby when the Wallabies dominated the battles for the Bledisloe Cup in the late 90s and early 2000s. Larkham is the 14th Australian player and 17th Australian overall to be inducted into the Hall of Fame, which was established in 2006. 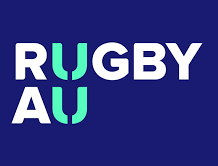 Rugby Australia Chief Executive Raelene Castle said: “On behalf of the Australian Rugby community I would like to extend our congratulations to Stephen on this fantastic achievement. “Stephen was already established as one of the modern-day greats of our game and his influence in Australian Rugby continues as he coaches and mentors the current Qantas Wallabies squad as an Assistant Coach. “His playing legacy is one of creative brilliance, and an unwavering pride in the gold Wallabies jersey. Larkham became full time attack coach with the Qantas Wallabies in 2017 after leading the Brumbies to five consecutive Vodafone Super Rugby Finals campaigns and now works alongside Nathan Grey, Mick Byrne and Simon Raiwalui in the 2018 coaching staff under Head Coach, Michael Cheika.